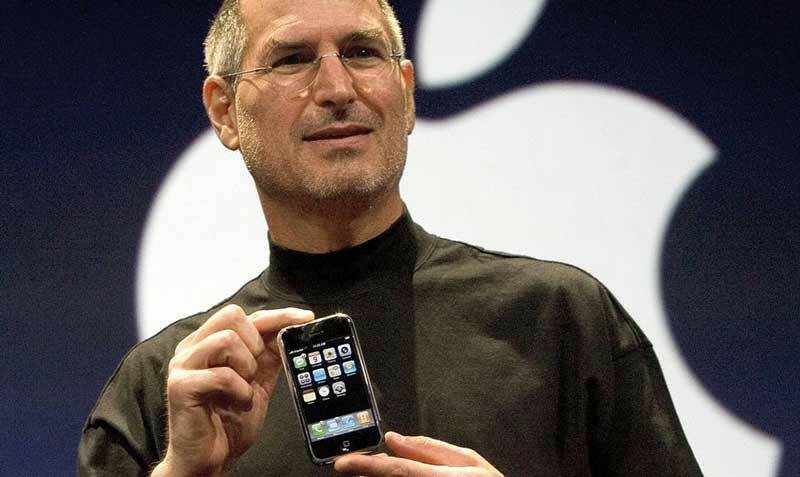 Home » Events » It’s been 10 years since the first iPhone was sold, what next? It’s been 10 years since the first iPhone was sold, what next? January 9, 2007 was the day that Steve Jobs had looked forward to for 2 years. It was the day that according to some a ‘revolutionary’ device was unveiled. The impact was not seen until people had in their hands. Today, 10 years ago when the iPhone hit the stores and people waited overnight to get one. After 29 June, 2007, the world was never the same. So was it really revolutionary? Apple has brought some good products to the world. First was the Macintosh in 1984 then the iPod in 2001 and then the iPhone came along in 2007. Now the iPhone wasn’t some new invention like a teleportation device that no one had done before. At that time, there were already some smartphones in the market that allowed people to access the internet, send emails and make calls obviously. Some unknown brand devices even had touch screen capabilities as the tech had been developed long before the iPhone came around. So why did the iPhone become such a big deal if these technologies already existed. Most of the smartphone that were existing at that time were not that user friendly and didn’t have the best designs. In my opinion, the key thing that made Apple iPhone such a success is the experience. Even today when you buy an iPhone, you’re not really getting the best specs on the market, you’re buying brand and experience. That doesn’t mean that the hardware on the iPhone is bad. Back then in 2007, Apple packaged the different experiences we had access to from different devices into one device. They made a phone, an iPod or Walkman with a large display and an Internet communicator. All of a sudden, you didn’t have to carry a separate device to have access to more songs. You no longer had to depend on your laptop to get a good Internet browsing experience. You could do it all from this small device that didn’t have a plastic keyboard but a multi-touch screen and a metal body. Strive Masiyiwa explains what Apple did very well in his talk Fast follower. Basically, in order to reach success, you don’t necessarily have to invent the next big thing. You just have to look at what other people are doing and do it 10x better. Up to this day, very few devices if any have come into our lives and done something 10x better that people just couldn’t ignore it. So it leaves me wondering what will be the next ‘revolutionary device’ be? Will it come from Apple or someone else? As for Apple, they are starting to lose their spark as consumers are getting more wise when it comes to their purchasing habits. People these days want value for their money and if Apple fails to keep providing that then people will look elsewhere. At least I would, but then again, if I could afford Apple products, I’d probably be in the ecosystem too. Hey career parent, who is raising your child? Young man you need to write a lot more. You are still extremely rough around the edges, it seems the zeal is there but your writing is not so polished. However, keep at it, I’m sure one day you’ll look back and ponder on this comment. Wise words Anonymous. I just wish it hadn’t been about a device that’s been important to technology in recent times. Fine article, Rufaro. I won’t lie, I was expecting more. I mean this has been ten years of the iPhone and that much time is no joke. I would have wanted to know more about this experience you say people bought into (bear in mind, the iPhone didn’t even have copy and paste for example). Anyway, seems tp be a decent read.